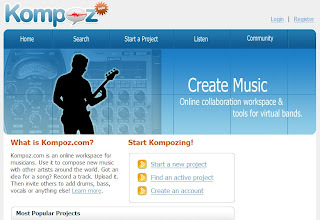 Kompoz is an online workspace for musicians. If you are a musician you can use it to compose music with other one wherever he live. You can upload a track, and invite others to add some music elements. It is a real musical collaboration site. You also have a place which lets you discuss music with your participators.